There’s not much info. 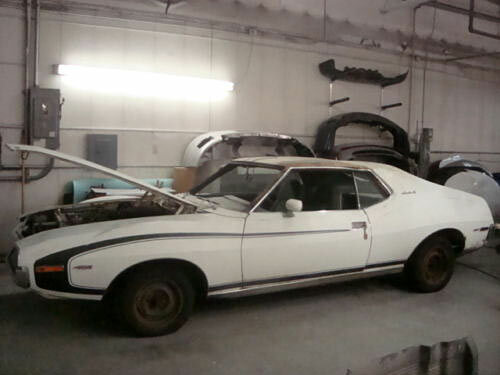 that comes with this listing for a 1972 AMC Javelin SST 401, apart from the car comes from the lister’s Grandma who bought the car from her AMC Dealer father and come with the original window sticker. About 23,000 SSTs were made in 1972, so it’s not a mighty rarity. This one clearly needs work, but could be made into a nice project in the right hands. Although it’s labelled as Grandma’s car, at the time of buying the car was with a young woman in a hot new muscle car. Like all things we age over time, but we still can be appreciated for the contributions in the past. 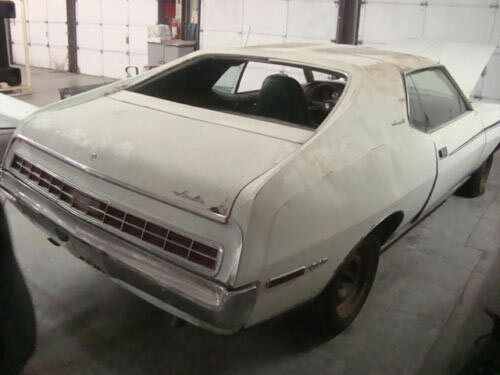 The SST was the base model for the Javelin in ’72. In ’71 it was above the base model, so she definitely struck it lucky with year choice. The car has been sitting for many years and clearly needs a full restoration. It does run, but will need a full work over. The interior is mostly intact, but clearly needs addressing in all areas. 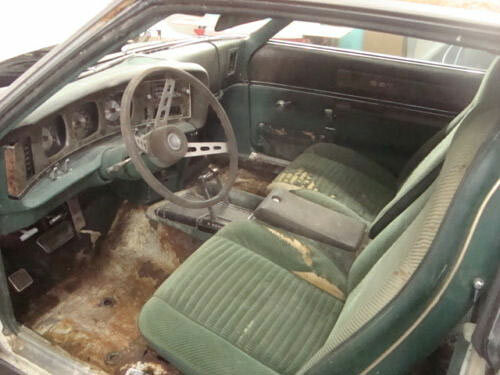 The exterior of the car seems in reasonable shape, but some of the shots of the rusted floors show surface rust which may go deeper. 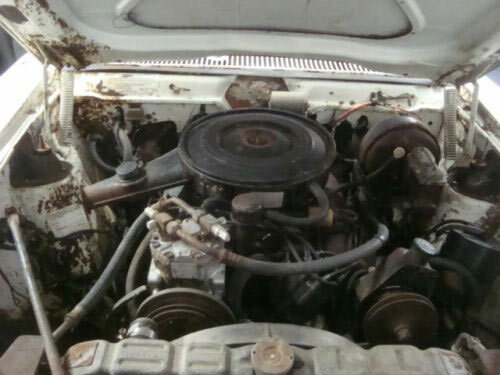 The engine is a 401 cubic-inch V8, 4-barrel with 255 hp, originally a $161.60 option and comes with factory A/C. It may not seem that much these days, but a worthy contender seeing as it was heading into the restrictions and downsizing of the mid-70s. For the asking price of $6,350.00 and top prices usually being around $15k at present, this could possibly be worth restoring.